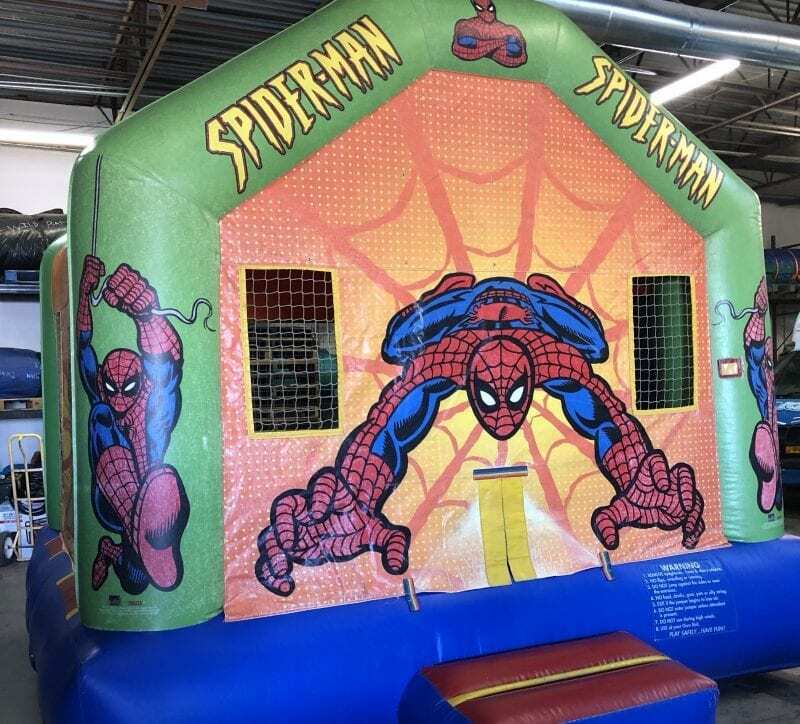 SPIDERMAN BOUNCE HOUSE -Dare to fly as high as the legendary web-slinger. Enjoy the fun. This basic bounce house provides fun for the little ones. This is a great bounce house for birthday parties. This size makes it perfect for backyards. It is also great as an addition to large festivals. The bounce house has a roof to keep it cool.